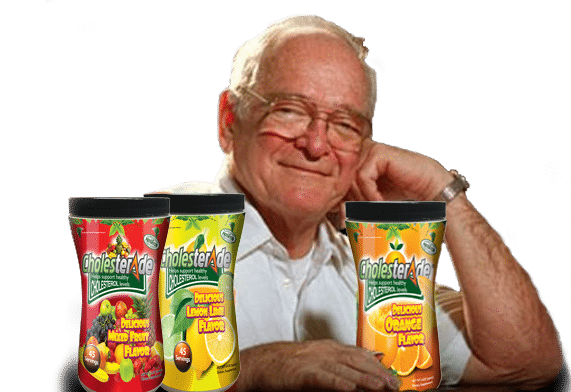 Cholesterade® was created by the late Dr. J. Robert Cade - the Inventor of Gatorade®. 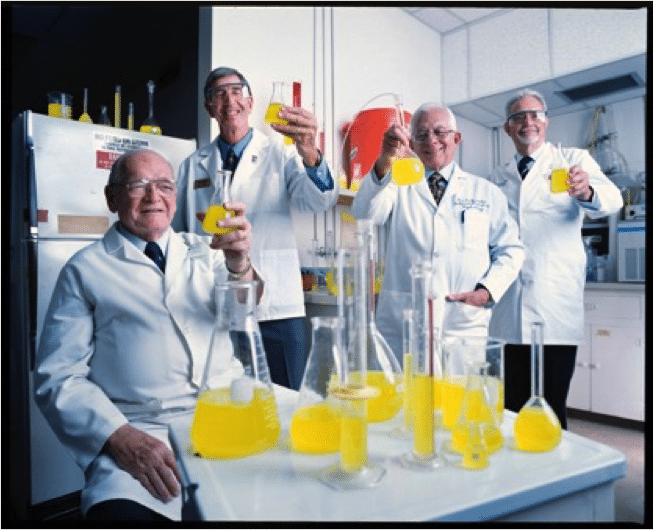 Although he is most widely remembered for Gatorade®, Dr. Cade was a man of many parts; a true Renaissance man. On the title page of his autobiography, Dr. Cade described himself as a "physician, scientist, musician, and inventor." Dr. Cade was born on September 26, 1927 in San Antonio, Texas. After service in the Navy at the end of World War II, he attended school at the University of Texas from 1948-1950. In 1953 he married Mary (Strasburger) Cade, a nurse from Dallas. In 1961, after completing a post-doctoral fellowship at Cornell University Hospital in New York City, Dr. Cade took a position at the University of Florida medical school, where he remained the rest of his life. Together he and Mary raised six children and helped raise twenty grandchildren. Dr. Cade died in Gainesville on November 27, 2007. Dr. Cade experienced high cholesterol levels, so he chose to find a solution that would allow him to improve his health in a natural way without the use of prescription drugs. In the early 1990’s, Dr. Cade began extensive clinical trials at the Department of Medicine and Physiology, College of Medicine at the University of Florida in Gainesville. As a result of his research, Dr. Cade created the exacting formula with specific ingredients and precise ratios that make up the formula for the powdered supplement we now know as Cholesterade®. Go-Epic Health – manufacturers and distributors of Cholesterade® are proud to continue his legacy.